Here is the most recent edition of the Occupy Wall Street: Houston newsletter. OWSH is a strong effort to reboot the Occupy Wall Street effort here in Houston. Here is the Facebook page of OWSH. Please read the newsletter and see if you would like to help in some way. Thurs May 24, 7PM, Bohemeo’s, 708 Telephone Rd:computer privacy and freedom skillshare with activist Patrick Gibbs. Bring your laptop if you’ve got one! Thurs evening June 7, time and location tba:Poster making party. Getting ready to hit the TX Dem convention in style. Bring your poster board, paper, markers, etc. Fri June 8- Sat June 9, time tba, 1001 Avenida de las America, George R. Brown Convention Center: TX Democratic Party state convention. We’re looking to ally with a local group/s either on wage theft or the sonagram bill. If our allies agree, we’ll hit the con on Friday morning, as the delegates are first coming in. Details will be set by the next newsletter. June 11, 3-4:30, Silverman Law Group, 917 Franklin St., 4th Fl:legal observer training. This is a training for Spanish-speakers only. Please RSVP to Daphne Silverman at 713-229-0687. There’s only room for 10, so sign up now! July 4, Take Back Your Capital, Austin: Some details on their webpage, others tbd, but Occupy Austin is working hard to make sure that any occupier in Texas who wants to come has a way there. This is our chance to show that Occupy is alive and well in the Lone Star State, and to connect with other Texas occupations. 2nd Friday of each month, 8:30PM, Domy Books, 1709 Westheimer Rd, back courtyard (enter through Cafe Brasil):On June 8 we’re showing “The Corporation”.Reviews call it “the most astute and flat-out persuasive political documentary of the new millennium.” Come see for yourself! Twice monthly. First Sunday of the month, 1:30 PM, Bohemeo’s, 708 Telephone Rd (in Tlaquepaque Market). Third Tuesday of the month, 6PM, 1732 Westheimer Rd, Empire Cafe: GA.
Tuesdays, 5:30 PM, U.S. 59 and Dunlavy:Freeway blog. Autonomous action:join the OWSHopsgoogle group and help plan our actions outside of the GA. Autonomous action:petition drive to require a referendum vote on the anti food-sharing ordinance. We need 28,000 valid signatures by the middle of July. Download the updated (as of 4/17) petition here.Update: so far, very few sigs have been turned in. This weekend, Free Press Houston is holding their annual Summer Fest at Eleanor Tinsley Park. Standing outside of the fest and catching folks as they go in should be a great place to collect sigs. Corporations get to rewrite state laws at the expense of the 99%. by Donni RomanielloAt the heart of OWSH’s commitment to economic justice is the undue corporate influence on legislation at the expense of everyone and everything else. Standing center stage but hidden behind the curtain of non-profit charity status is the American Legislative Exchange Council, better known as ALEC. Founded in 1973 to “promote a conservative agenda,” ALEC bills itself as a “non- profit…think-tank for state-based public policy issues.” In reality it is a bill mill churning out hundreds of “model bills” on a variety of issues each year that always benefit the revenue streams of corporate big business. comprised of 20 Republican and 3 Democrat legislators. Its corporate members include oil, tobacco, insurance and big banks, a veritable Economic Four Horsemen of the Apocalypse.Legislators pay annual dues of $100. Tthe price tag for corporate members paying anywhere from $7000 to $50,000. In recent years dues from “public” members amounted to slightly more than 1% while more than 81% of ALEC’s income comes from corporate contributions. With this money, ALEC sponsors Legislative Task Force meetings, a State and National Policy Summit and a posh Annual Meeting. Because the “model bills” ALEC writes often address technical legal doctrines like assumption of risk, the determination of fault in tort cases, or who pays the cost of a jury in personal injury cases, they rarely attract the interest of the average person because of their legalistic nature and can slip through a state legislature quietly. Currently, ALEC has countless bills in the making. In a political system in which access and money are the primary modes of influencing lawmaking, ALEC stands front and center. Describing the purpose of corporations joining ALEC, with its large costs of sponsorship, Task Force Chair Dennis Bartlett stated, “Our members join for the purpose of having a seat at the table.” Bob Edgar of Common Cause stated, “This is proof positive of the depth and scope of the corporate reach into the democratic process.” This reach into the legislative process includes off-the-rack legislation designed to make state laws ever more favorable to corporate interests. The OWSH Newsletter will present a series of articles on ALEC, its impact on the 99% and its impact on Texas and its state legislators. Next Week: ALEC in Texas. Cons: the planning coud’ve been farther along when we arrived and the materials to be used better thought through. Pros: accomplished something real, instant gratification, met good folks, learned something, fits with OWSH’s mission to promote an environmentally sustainable society. Overall: I’m so doing this again. This past Saturday, I joined about ten other folks forTransition Houston’s last Permablitz of the season. In a Permablitz, volunteers grab any useful tools they have on hand and show up for a group gardening experience. The landowner provides the raw materials, some of Transition Houston’s gardening gurus help draw up a plan, and volunteers donate the muscle needed to transform a lucky lottery winner’s backyard into a space that better follows permaculture practices such as minimizing grassy areas. (You know how Houston floods? Like, a lot? Part of the reason is our oceans of semi-permeable lawn.) The project goes on hiatus during our Africa-hot summer. We started trickling in just before 8:30, feasted on breakfast provided by the homeowner and the Transition Houston regulars, then trooped onto the grounds to begin dithering over some design elements. Despite a late start, an unplanned trip to the hardware store and work stoppages to explain basics to folks like me who don’t know much about gardening, we actually got a lot done. By the time we stripped off our gloves at 12:30 we had extended one large bed to a brick walkway, planned where some young citrus trees would be planted in the fall, rerouted an existing stepping stone pathway, and installed a raised bed for a vegetable garden. There’s plenty of planting left for the homeowner, but all of the heavy lifting is done. ]The light post-blitz lunch consisted of leftover breakfast goodies–including wedges from a cultivar of grapefruit that can only be obtained from a friend of one of the gardening gurus–and a cake celebrating the 13th birthday of one of our blitzers. Sitting serenely in the beautifully landscaped backyard of what might well be a 1%er, given the posh Kirby Drive address, I felt a flash of unease. Why had we donated our time to somebody who could certainly afford to pay for the work? And was I OK with that? Yep. Once you’ve participated in three Permablitzes you can toss your name in the lottery to be blitzed. Our hostess, besides being a hard worker with a friendly and down-to-earth way about her, is by all reports a giving and good-hearted person. That counts more for me than most any other category I might put someone into. What’s more, she clearly appreciated the sense of community that the work engendered. There is something undeniably powerful about throwing in with a bunch of people you don’t know to accomplish a common goal, sweating together, finishing, and seeing that what you’ve done is tangible and good. I was so impressed with the experience that I started the lottery process…and I don’t even have a place to put a garden. Which means that come November, when I’ll be eligible for my own Permablitz, it could be a really good time to be my friend. Got an item–an announcement, a proposal, a report–for the next GA? Send it toowshou@gmail.com before Thurs May 31 at 10 PM, and Facilitation will get it onto the agenda! Know of an Occupy-friendly event coming up? Email it and we’ll put it in the next newsletter. OWSH Allies with HPJCHouston Peace and Justice Center has agreed to be our fiscal sponsor, which means that we’ll soon have a bank account and a way of collecting tax-free donations.We learned that HPJC is primarily an umbrella organization for justice-oriented activist groups in Houston. At their encouragement, we’re going to apply for membership at their August board meeting. This promises to be a great way to network with other orgs in Houston and might afford us resources to support work that matters to both HPJC and OWSH. Pay it Forward project. We’re starting to learn about installing urban gardens from Transition Houston and other groups. We’re also going to contact the folks at the Houston Green Building Resource Center to see what we can learn about making homes more energy efficient. First we learn, then we’re ready to spread the knowledge! Oct 6, 1st anniversary of Occupy in Houston. We’re planning a volunteer festival to help activate folks by connecting them with orgs that need volunteers. It’s going to be AWESOME. Occupy solidarity events.What’s coming up in other occupies that we can help with here in Houston? Below is the weekly newsletter of Occupy Wall Street: Houston. OWSH is an effort to give another try at the Occupy Wall Street effort here in Houston. There is also an OWSH Facebook page. If you’d like to take part, the information you need is in the newsletter. There is always reason to keep at it and to move forward. The work of freedom and justice is up to each of us. Sun Apr 28, 8:30AM, 711 Sabine St: Permablitz withTransition Houston. The group is dedicated to promoting sustainable living practices and selects at random one backyard per month to transform into a permaculture paradise. Full descriptionhere. Wouldn’t this be a great group to ally with and the permablitz a great way to do it? Tues May 1: Occupy general strike. We’re working with Occupy Houston to outreach to different groups accross the city. OH is working on blocking entrance into downtown and OWSH will be coordinating a picket line within downtown, the goal being to provide opportunities for different levels of action. Thu May 3, Fri May 4, and Sat May 5, 8PM, Good Jobs=Great Houston, 2955 Gulf Fwy: LookOut Arts Collective presents Theatre for the 99%: 6 short plays about living in America. All performances are PAY WHAT YOU WANT!!! Occupier Caleb Travis is producing. May 9, evening, time and place TBA: Bank divestment action coincident with Bank of America’s annual shareholder meeting in Charlotte, NC. We’re caravaning between different grocery store bank branches, telling the story of “I’m leaving this abusive relationship and marrying my credit union!” OWSH will provide materials to decorate vehicles a la “Just Divorced”, and if you’re divesting on this day, we’ll provide veils for “brides” and (we hope) top hats for “grooms”. Take this opportunity to divest from Wells Fargo, BoA, whichever big bank you’re currently banking with, and join a local bank or credit union! This is a non-arrest piece of street theater. Computer Privacy and Freedom Skillshare with activist Patrick Gibbs. Details to come. Sundays, 1:30 PM, Bohemeo’s, 708 Telephone Rd (in Tlaquepaque Market):GA.
Tuesdays, 5PM, U.S. 59 and Dunlavy: Freeway blog. Autonomous action: petition drive to require a referendum vote on the anti food-sharing ordinance. We need 28,000 valid signatures by the middle of July. Download the updated (as of 4/17) petition here. We the people of Occupy Wall Street Houston have organized under the banner of nonviolence as our overarching principle. Through the practice of nonviolence as exemplified by Martin Luther King Jr., Gandhi, and many other influential leaders the world over, the actions, rhetoric, and beliefs of our movement will be guided in the favor of what is just. Why each individual has chosen to adhere to nonviolence in their actions is personal and, without discussion, is valid and equal to the same choice made by all. We at Occupy Wall Street Houston understand that nonviolence is simply the way we have chosen to operate. We must now fully understand what the commitment is and we must ensure that we educate all involved in our actions about the principles of nonviolence. Occupy Wall Street Houston will be a force in the community because we are the community. The force will be positive and will build toward a stronger more connected community. As human beings and activists we will commit to growth within ourselves and will mentor the spiritual, emotional, intellectual growth of others to reach full potential. All will be welcomed to speak their mind because no person is evil regardless of the darkness of their thoughts or actions. We understand that because no person can be evil then no person should be on the receiving end of violence. Understanding that Occupy Wall Street Houston is a movement of nonviolent actions is easier in theory than it is in practice. We will not judge, humiliate, provoke or take advantage of our opponent’s weaknesses to achieve our goals. We will study an issue to look for ways to address it before taking any direct action. Opponents will understand our complaints and we will trust their intentions to address them. If a compromise is not achieved, having exhausted all means of alternative dispute resolution within our power, we will organize and participate in civil disobedience. 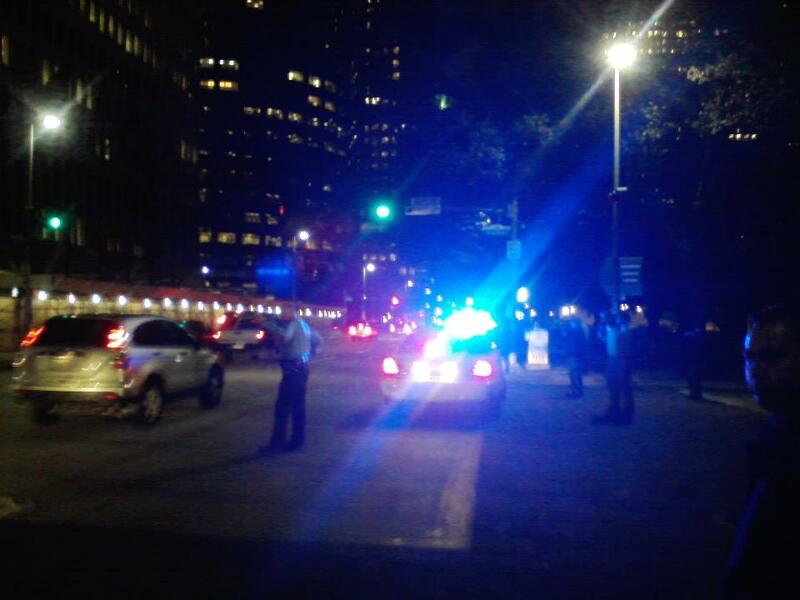 All actions of civil disobedience by Occupy Wall Street Houston will remain nonviolent. We will not reciprocate an offence directed at us as a group or as individuals. In breaking a law, just or not, there will be consequences that must be accepted. It is the responsibility of any person acting in civil disobedience to accept the humiliations and suffering in hopes that the world will see their commitment and sincerity. Anyone participating in an action by Occupy Wall Street Houston will be informed of the possible consequences as well as any laws that will be broken. During any action we will not allow hate to rule our actions or words. We believe that our voices will be listened to, not just heard, if we express the facts about the issues and our ideas for solutions. After every action we will look for the reconciliation of parties involved. Our ultimate goal is justice: social, environmental, economic. Occupy Wall Street Houston accepts that justice will prevail in the end and have chosen nonviolence as our means. 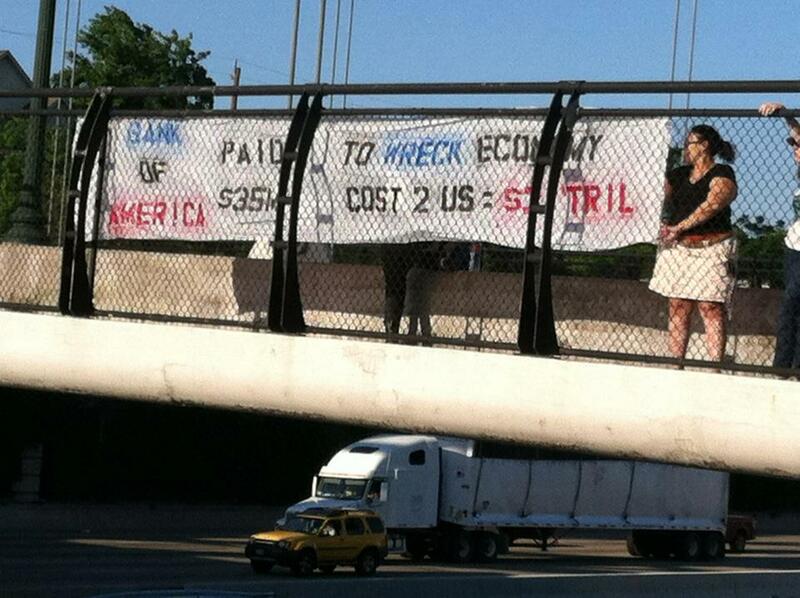 Four members of OA traveled to Houston to spread the word about this 4th of July action to Houston’s Occupys. The event is still in the planning stages, but the overall vision is to 1) put forth a show of numbers to show America that Occupy is alive and well; 2) make explicit the deeply patriotic nature of civil protest in general and Occupy in particular; 3) connect with other Occupiers from across Texas. The facebook group, Occupy Your Capital: July 4, is being used to plan the event and will have tools to coordinate rideshares and day-specific events. Get one from a resale shop. This option is cheap and green. Get a new, plain tee. Here’s one option that’s sweatshop-free. Purchase white shirts from our printer. It’s not sweatshop-free, but it’s cheap and easy. Email us at owshou@gmail.com with your name, size, quantity, and design before this Sunday, and we’ll put your order in. If you’re providing your own shirt(s), get it to Selene at the next GA, and she’ll pass it on to the printer. Thanks to an anonymous donor for sponsoring the $35 screen that will be used to print the shirts. This is our screen, which means that whenever we need a shirt printed, it’s ready to go (in one color). Our printer will print the shirts for $2 each, $6 if he’s providing the shirt. Occupy Houston wrote apress release describing the origin of May Day and the thought behind the May 1 General Strike..They are planning a blockade of downtown, details to come. Houston United is marching from Bellaire and Renwick to Burnet Bayland Park at 5:30. Individuals are welcome to lend their support to any May Day actions, and OWSH will decide at the next GA what to officially support. They shared this idea with us at our last GA and said potluck No. 1 was a hit. Something to work towards when our numbers are a little bigger?–ed. note. We decided to divide the city into quadrants and scheduled potlucks every couple of weeks in different areas of town. A different person is responsible for heading up each potluck & they choose the location for the potluck, which typically will be a neighborhood park. We brainstormed a list of activities and topics for the picnics, and will invite the community to join us for food, fun, and discussion. We’d also like to try to teach the principles of horizontal democracy and facilitation, so neighborhoods can choose to start their own general assemblies if they desire. At the end of this post you will find the weekly posting of the Texas Progressive Alliance round-up. The TPA is a confederation of the best political bloggers in Texas. TPA members are citizen-bloggers working for a better Texas. Above you see two pictures from the Occupy Houston strategy and planning meeting held last week. Thanks to Burnell McCray for taking the pictures at the meeting. 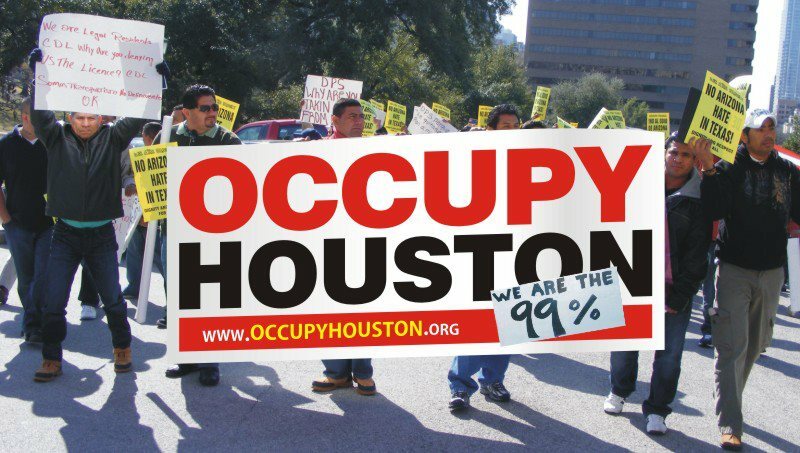 I can’t tell you if Occupy Houston will end up making a difference in Houston or not. Though I do think the national Occupy Wall Street effort has had great success in putting wealth inequality and corporate power in the center of the national debate. All I can say is that I’d rather roll the dice with my fellows at Occupy Houston, then have my picture taken with some politician at a fundraiser, or engage in some other pandering with elected officials who are happy to take my time and resources, but who don’t give much back in return in terms of hopeful progressive actions. 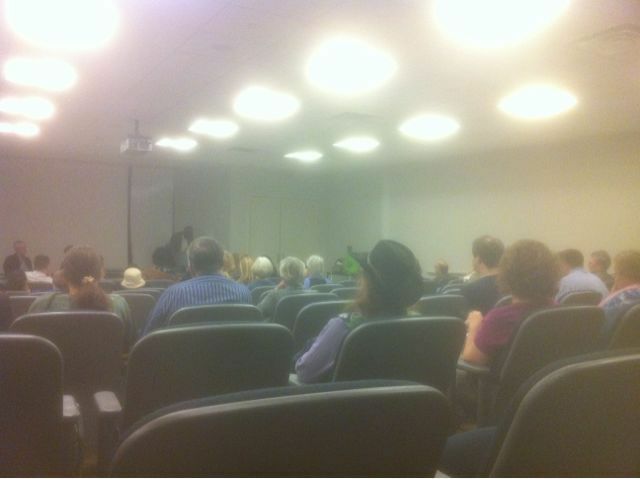 The next Occupy Houston strategy meeting will be held on Sunday, 3/4 at 1 PM on the 6th floor at 2990 Richmond. Here is the Occupy Houston website. There is a Facebook page as well. Here are details of a 2/28 Occupy Houston event. As the participants in the meeting you see above understand, every Texan and every American has the ability to attend a public meeting, attend or organize a protest, write or call an elected official, talk to friends and family, start a blog, donate money, write a letter to the editor, volunteer for candidates and causes, engage in acts of civil disobedience, and to run for public office. 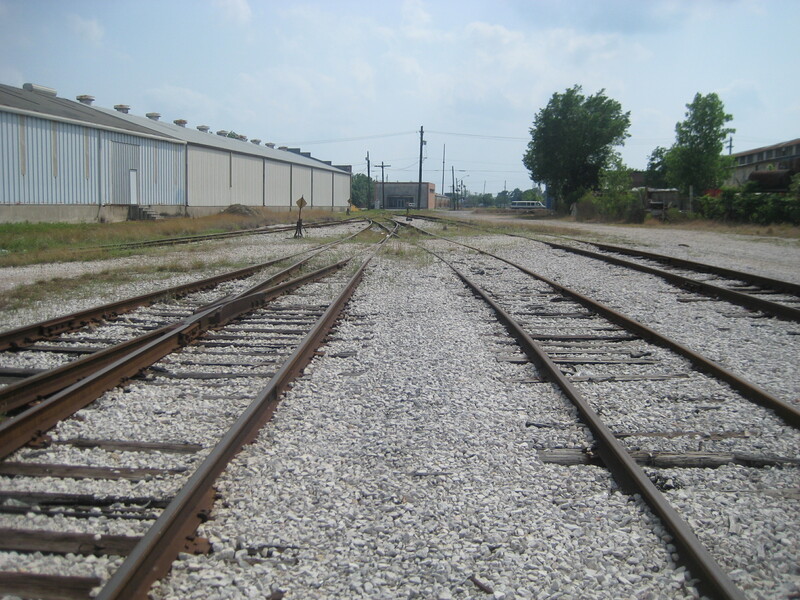 Texas Railroad Commissioner Elizabeth Ames Jones resigned her position to run in the GOP primary for SD25 after finally coming to the realization that her argument that we can’t really know where the capital of Texas is located was completely lame. Off the Kuff provides the commentary. BossKitty at TruthHugger is really getting worried at how America’s religious culture and the GOP are pushing America backwards into the previous century with barbaric personal intrusions. Virile GOP: American Women Are Property Again and Population Control, Climate Change and Zealots describe how these are taking place. There will be an Occupy Houston Protest this upcoming Tuesday, 2/28. The focus of the protest is the ongoing national official repression of the Occupy Wall Street movement. This protest will address specifically events in Houston as detailed below. Here is the Occupy Houston website. There is also an Occupy Houston Facebook page. No Rubber Bullets, No Beatings, No Tear Gas, No Mass Arrests, Don’t Suppress OWS! Please join Occupy Houston in answering the Call for Mass Action Against the Suppression of the Occupy Movement. On Tuesday, February 28th, Occupy Houston will be standing in National Solidarity to give voice to our concerns over the suppression and to show that no matter what, WE WILL STAND TOGETHER. Even though the Occupy Movement has faced police brutality and harassment, mass evictions, excessive criminal charges, infiltration, and even been labeled as domestic terrorists, we are not going away. We will strengthen our bonds within our communities and with each other. We will push forward in our struggle against the corporate corruption of our democracy. On Feb 28, we stand together in solidarity and prove You Cannot Evict An Idea Whose Time Has Come. 2:00 Houston City Council Public Comment- Sign up, before 1:30 pm on Tuesday, to get on stack and voice your objection to the suppression of the Occupy Movement. The number is: 832-393-1100. Gather at Hermann Square Park in front of City Hall. Get on stack and use this time to show what Occupy means to you. What lit the spark for you to become involved with Occupy? I am the 99% because…. 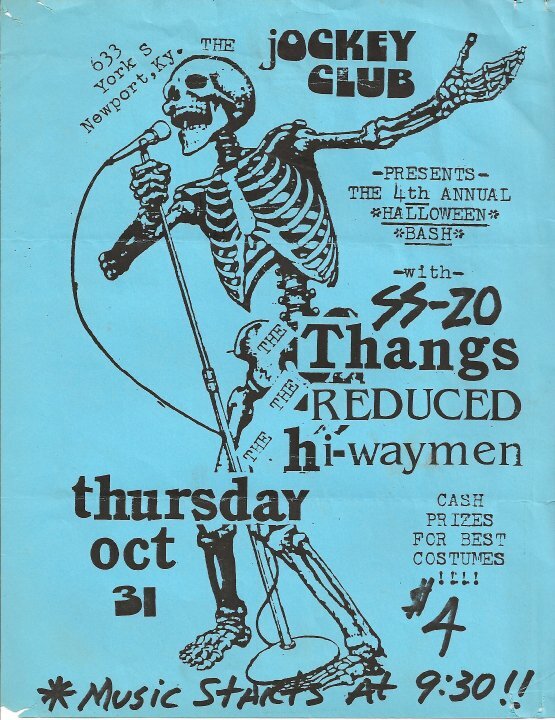 Recently I came upon a collection of fliers promoting shows at the great Jockey Club in Newport, Kentucky. 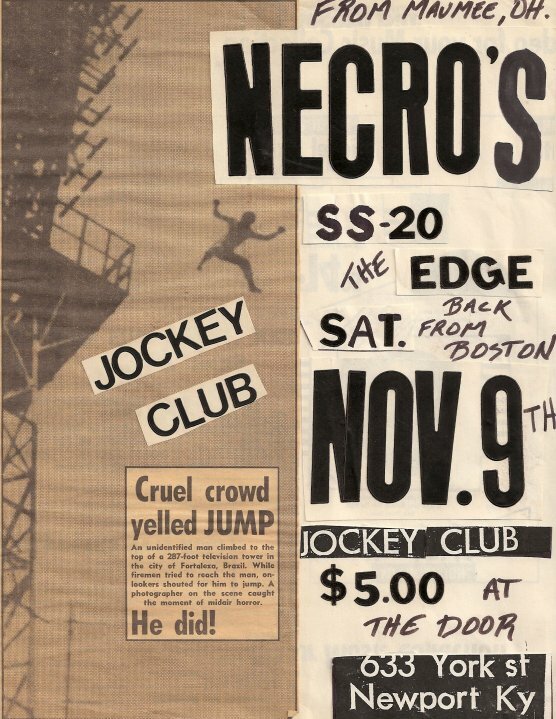 The Jockey Club, just across the Ohio River from Cincinnati, was the best punk rock club in all the midwest. It closed in 1988. There is a Jockey Club Facebook page you can join. You can read a series of Jockey Club recollections in Stories for Shorty. I have an entry in this book that was published by Cincinnati’s Aurore Press. 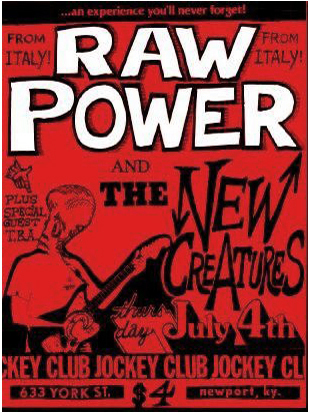 One of the best things about our punk rock scene in Cincinnati is that we did stuff ourselves. 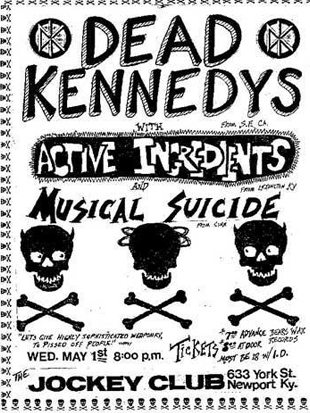 We made our own fliers, staged our own shows, formed our own bands, we printed fanzines that had interviews with touring bands and we had our own radio show on a local station. I co-hosted a punk radio show on Cincinnati’s WAIF-FM 88.3 for three years. This was—and still is—the way to go. Working by ourselves and working together, we made our own scene no matter how moronic and narrow the world around us might be. Whether it is getting on the Mayflower to exercise your beliefs in a new place, Occupying something in the name of economic fair play and a more just society, finding the internal resources to fulfill a creative vision, or working with others who share your thoughts and hopes to make something of value—It is in the end your responsibility to do the work to accomplish what you hope to accomplish. This does not mean that luck and circumstance do not matter. These things matter a great deal. It is possible that you will get sick or be hit by a truck. Make and print your own fliers, start a blog, form a band, occupy something, be part of your local and national scene, take responsibility for your own future, generate your own content so somebody else does not generate it for you, help out those on your own side of the aisle, and don’t just hang around when there is work to be done. The ways to get these things done may change over the years, but the underlying concept does not shift. There will be an Occupy Houston General Assembly and planning meeting this upcoming Sunday, 2/19. This will be a big meeting after the police disbandment of the Occupy Houston camp in Downtown Houston a few days ago. 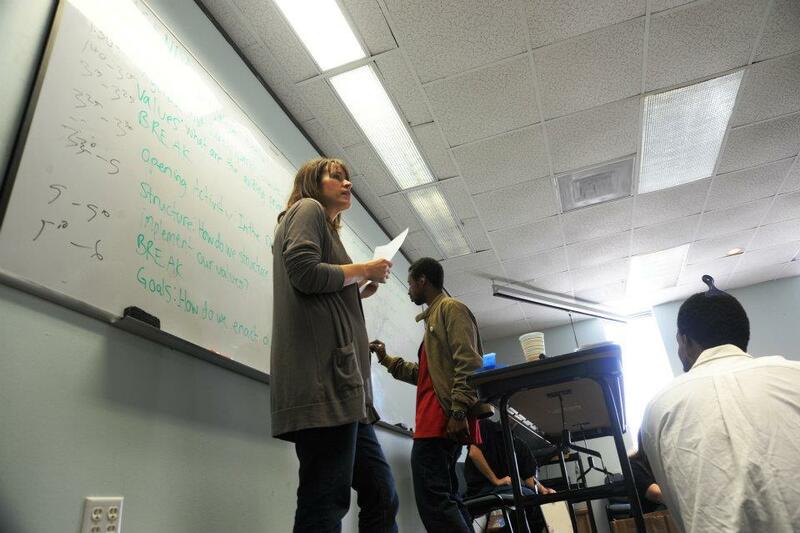 This GA is devoted to planning out the future of Occupy Houston. We’ll answer some of the hard questions about what Occupy Houston is , where it’s going and how, specifically, to get there. The meeting will begin at 1:00 PM on the 6th floor at 2990 Richmond in Houston. Here is the Occupy Houston website. Candor requires me to tell you that the website has not been utilized as well as it could be in recent months. The good news is that we can always move forward and make progress. There is also an Occupy Houston Facebook page. Please attend if you are interested in the success of the Occupy movement as the weather warms up and in the big political year ahead. Above is a picture I took Tuesday morning 2/14 of the former Occupy Houston camp in Tranquility Park in Downtown Houston. As I’ve said, the local Occupy movement is better off without the camp. 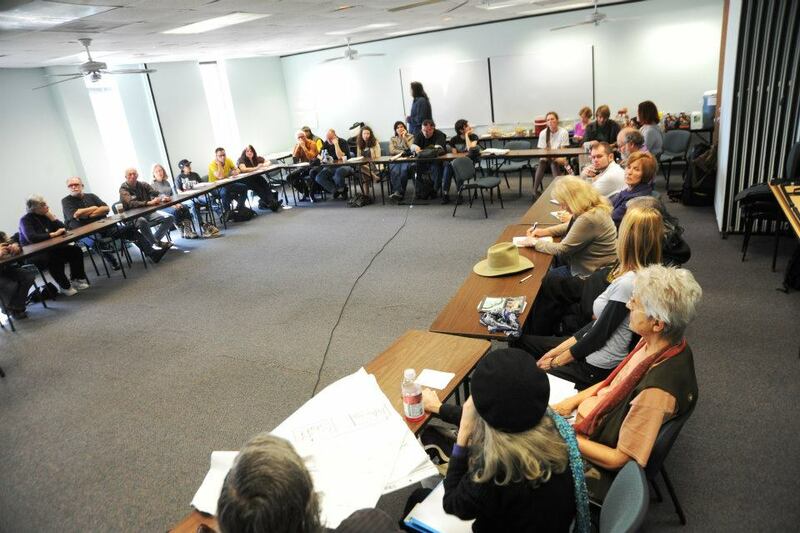 There are plans for an Occupy Houston 2.0 that either will or will not take shape. Should the local Occupy move forward you’ll read about here. And hopefully you’ll read about it in other places as well. If not, you’ll get here a candid acknowledgment of that fact, news of other actions in Houston, and nothing but optimism about the fights ahead. Here is Occupy Wall Street as the national effort continues. The work of freedom and justice is up to each of us. Please consider what you are able to do to about a more fair and just nation. 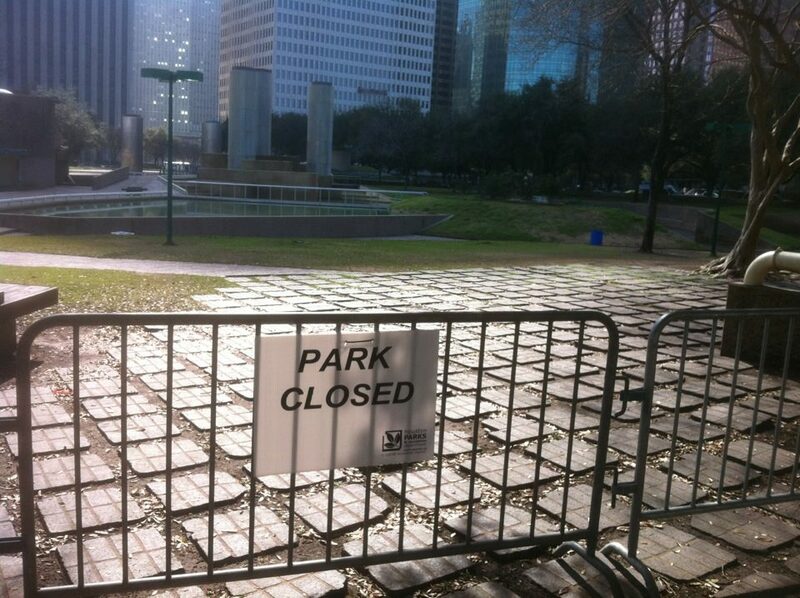 The Occupy Houston camp at Tranquility Park was cleared out this evening by the Houston Police Department at the order of Mayor Annise Parker. It was a peaceful process. Here is the press release on this matter from Mayor Parker. I could not truthfully argue that Mayor Parker acted in a rash or unreasonable fashion in moving out the Occupy camp. She was patient in this regard. At the same time, progressives and liberals in Houston should not forget the A- rating on fiscal concerns Mayor Parker received in 2011 from the Texas Conservative Review. Mayor Parker–A Democrat– is no true friend of progressive and liberal aspirations in our great City of Houston. The camp began on October 6, 2011. 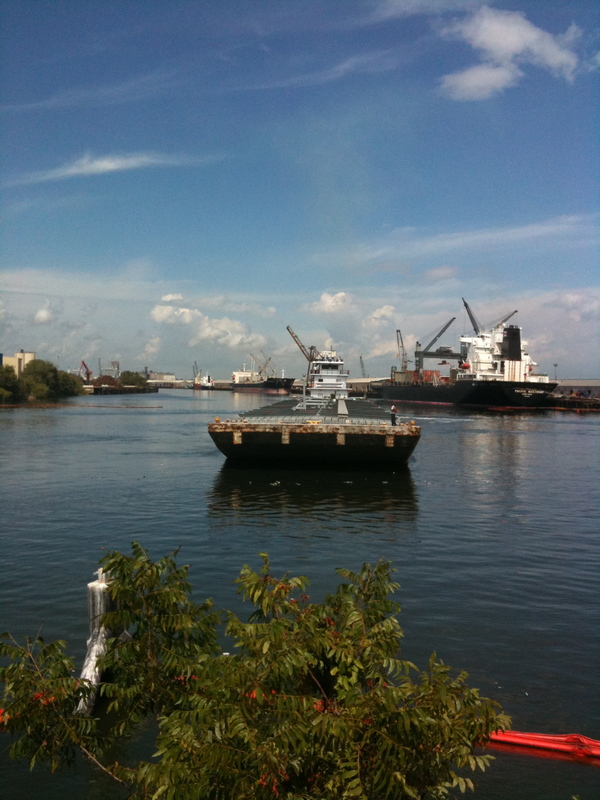 Here is my post from the first day of Occupy Houston. In the months since October, the Occupy Houston camp had become an eyesore and had stopped serving any useful purpose for the cause of a more just society. There were many good people who took part on the camp and who are still part of Occupy Houston. Yet this is simply the case as to what the camp at Tranquility had become. At the same time, the Occupy Houston Facebook page has more than 16,000 followers and the Occupy Wall Street effort continues. There have been other victories as well. InterOccupy offers conference calls and news for a growing network of activists and supporters. As the Occupy effort chooses its next course, it can already claim success in propelling issues of income inequality and economic fair play into the national debate. I remain hopeful. I’ve come to know a number of good and smart people through my support of Occupy Houston and the Occupy movement. Just this past weekend I attended an organizing training session in which a number of other Occupy backers also took part. I don’t know what form the Occupy effort will take nationally or in Houston in the weeks ahead. I do know that victories have already been won, and that there is much to be hopeful about in the weeks and months ahead. 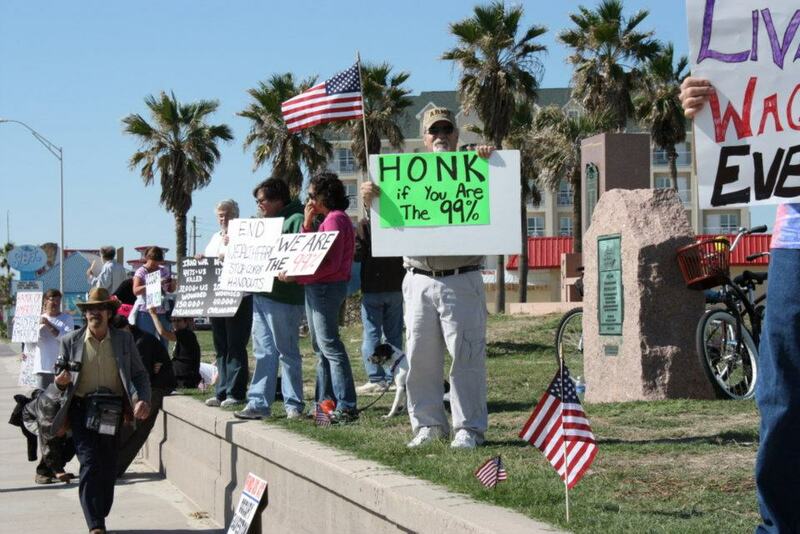 Occupy Galveston is out and about working for the 99%. Ready to parade at Mardi Gras? We will be the pre-parade show for the two major Seawall parades! Sat, Feb 11th: Meet at 11am in the open, grassy space at 21st and Seawall across from the Galvez. Sat, Feb 18th: meet @ Seawall and 25th at 6pm. March up 25th. You can just march or wear costumes, do street theatre, play music, hold signs! We will be having Occupy Galveston t-shirts made and will be ordering 99% wristbands to throw to the crowds. If you are interested in ordering either of these, please let us know in the next few days. Invite your friends, family, and Occupy movements from all over! There is an Occupy Galveston Facebook page. 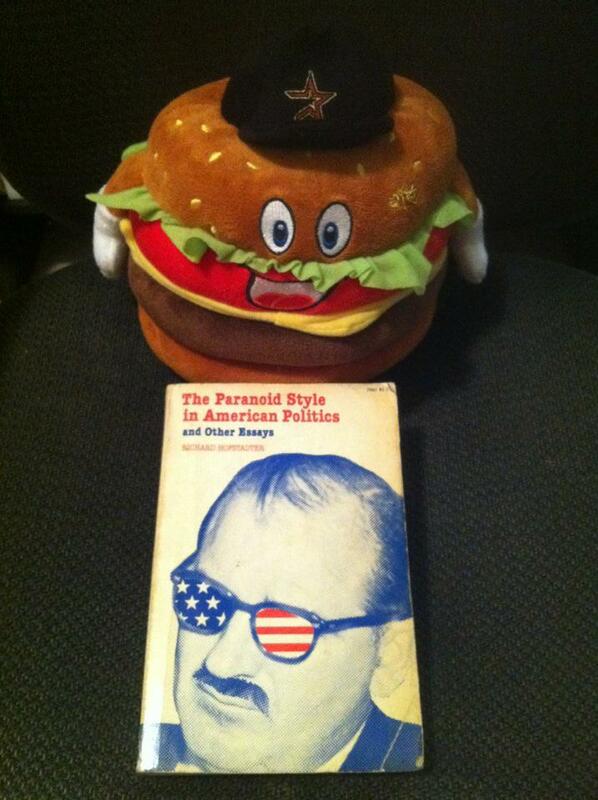 Hamburger Wearing An Astros’ Hat—A member of the Texas Liberal Panel of Experts—is reading The Paranoid Style in American Politics and Other Essays by Richard Hofstadter. This 1965 book makes it clear that extreme paranoid thinking has long been a feature of American public life. 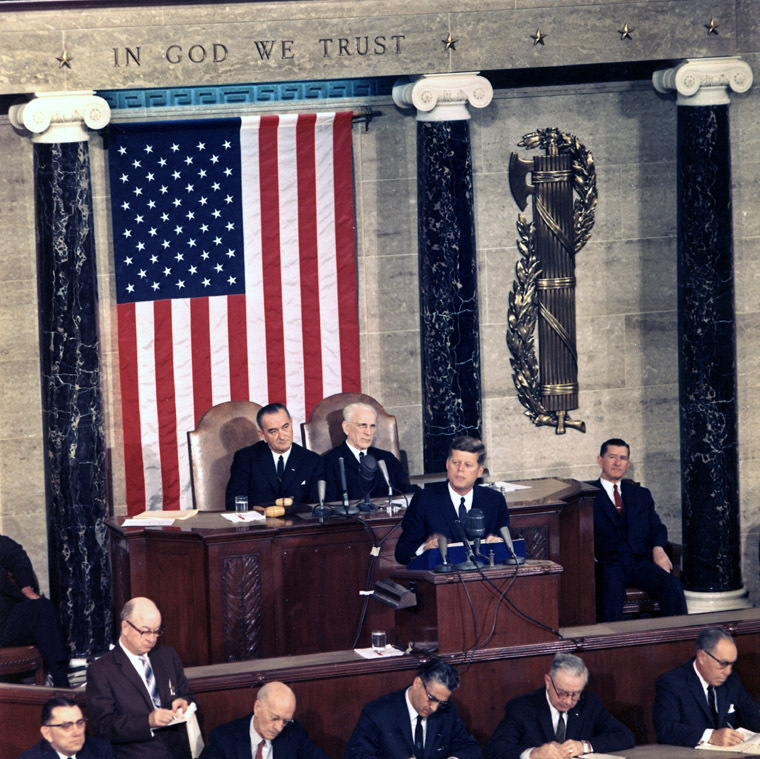 Some may think that today’s conservative movement and Republican Party is some type of new-fangled craziness. Yet as it says in the Bible—There is nothing new under the sun. Here is a link to the Paranoid essay which was first delivered as a lecture in 1963, and then appeared in Harper’s Magazine in 1964. It is important to see that this type thinking is not just part of today’s right wing. And that it is not just conservatives who embrace paranoid thinking in how they see the conduct of public affairs. Plenty of folks on all sides of the aisle are full of crazy notions. Yet among in today’s politics, it is the conservative movement and Republican Party that is to the greatest extent predicated on extremism, fear and anger. The bottom line for those of us on the left is that while circumstance and the actions of others makes a difference, what we are able to control is our own actions and our own effort. The work of freedom and democracy is up to each of us. Just as anti-tax and business lobbyists, so-called pro life advocates, and the gun lobby found common cause to build the modern Republican Party despite differences—Liberal and progressive Democrats, Greens, Occupy Wall Street backers and most on the left are on the same side. There does not have to be full agreement or 100% cooperation, but we can all move in the same general direction. InterOccupy.org facilitates open conference calls about a variety of topics for participants and supporters of the Occupy Wall Street movement. This is just one more indication that Occupy is around for the long haul. Here is a list of upcoming InterOccupy calls. InterOccupy also serves as a source of Occupy Wall Street news and events. Take a look around the site and see what you think. InterOccupy also has a Facebook page. In the big political year ahead and as the weather warms up, Occupy efforts around the nation are moving forward. 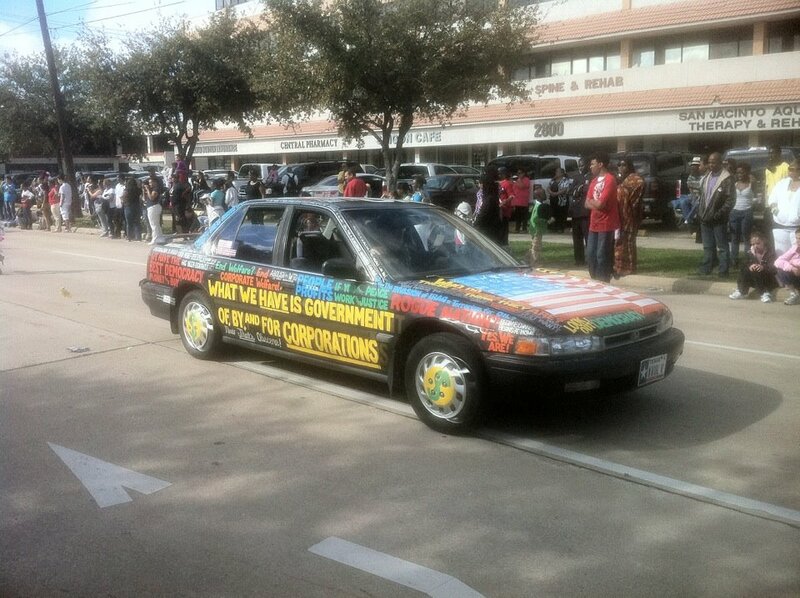 Here is a great car that was in the 2012 Houston Martin Luther King Day parade. This car is correct. Corporations and money do rule the nation. Martin Luther King died in Memphis, Tennessee fighting for the rights of working people. He died fighting for striking sanitation workers in Memphis. Here is Move to Amend. Move to Amend is fighting the pernicious idea that corporations are people. People are people. Corporations are not people.